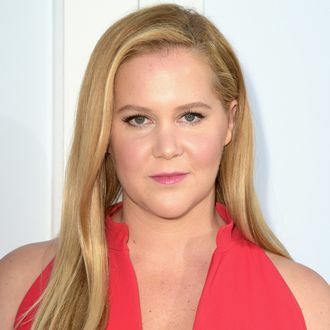 Amy Schumer wants you to get politically active. She wants you to protest. She wants you to vote. She wants you to know she’s pregnant — wait, what? Schumer first posted a photo of Prince Harry and Meghan, Duchess of Sussex, with the faces of her and her husband hastily Photoshopped on top of their shoulders, and directed her followers to check out author and journalist Jessica Yellin’s Instagram feed for more details. Check out Yellin’s story now and you’ll find a Notes app screenshot with a whole list of Schumer’s recommendations for midterm voting, and also the announcement of her pregnancy. Schumer told the Los Angeles Times this afternoon that, “Chris and I are thrilled and almost positive he’s the father. I look forward to competing with Markle every step of the way. Maybe for the gender reveal she will announce her plans to challenge her cousin, Senate Minority Leader Chuck Schumer, for his congressional seat, which would definitely help her run neck and neck with the Duchess in the pregnancy media cycle.